Siemens Gamesa – a merger of Siemens Wind Power and Gamesa – specializes in wind power solutions to customers all over the globe. To be able to keep pioneering in the renewable energy sector, it called in Frisomat to realize its newest investment in Tangier, Morocco. 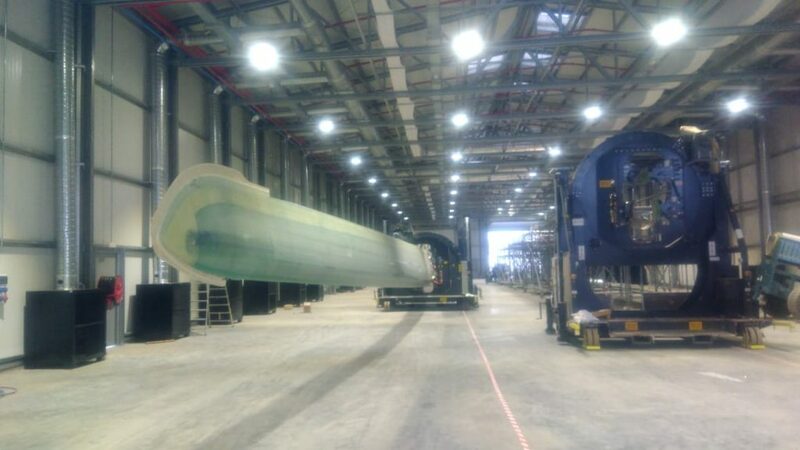 In its new building, Siemens Gamesa will install a protective layer on 70 m long wind mill blades. This to prevent ice from sticking to the blades. Given the nature of this delicate procedure, Siemens Gamesa needed a full-scale dust free environment and thus a completely airtight building. Additional custom designed finishing pieces, rubbers and seals were therefore provided in order to make the building fully airtight. 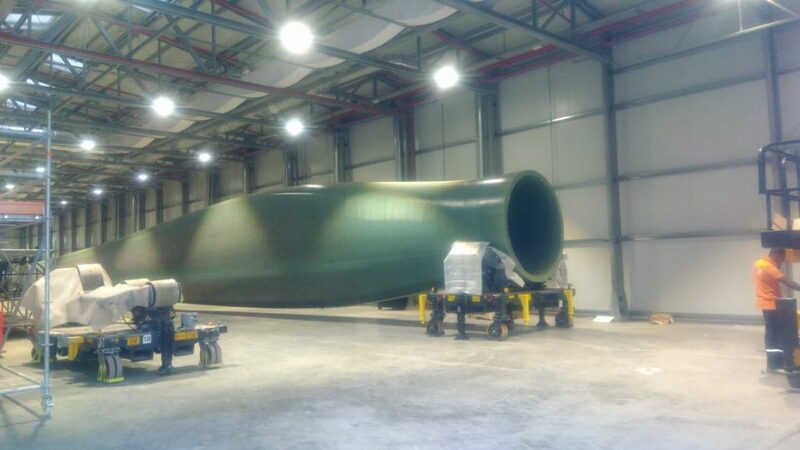 Due to a fast approaching delivery date of the first wind mill blades for treatment, Frisomat had to produce and assemble the building fast. Fortunately, speed is what typifies us. In addition, the structure had to withstand high wind loads considering its location in the white city. 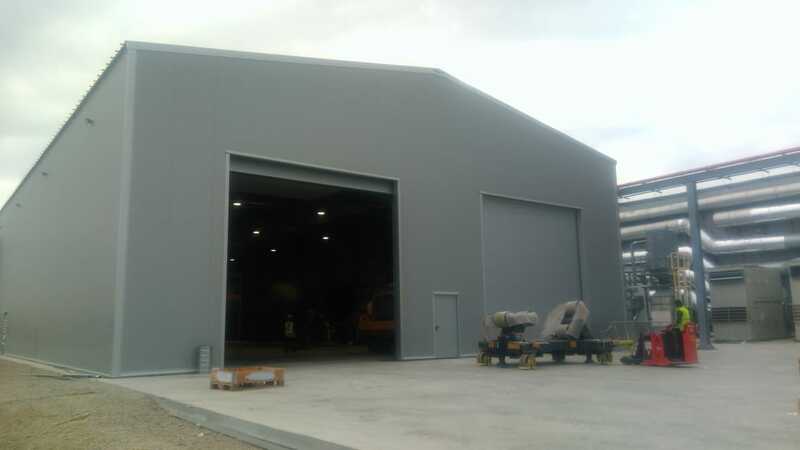 Due to our worldwide presence, we are highly experienced in developing, producing and assembling buildings for high wind zones. In Tangier, we assembled Siemens Gamesa’s building within two months – although often assembly had to be paused due to strong winds. Two Frisomat assembly workers supported a local team of assemblers, ensuring a fast and qualitative build-up. Seeing its presence in over 90 countries, Siemens Gamesa furthermore desired a building especially fit for temporary use. A quick dismantling and the possibility to rebuild our buildings elsewhere is characteristic of our mecanno like building concept. 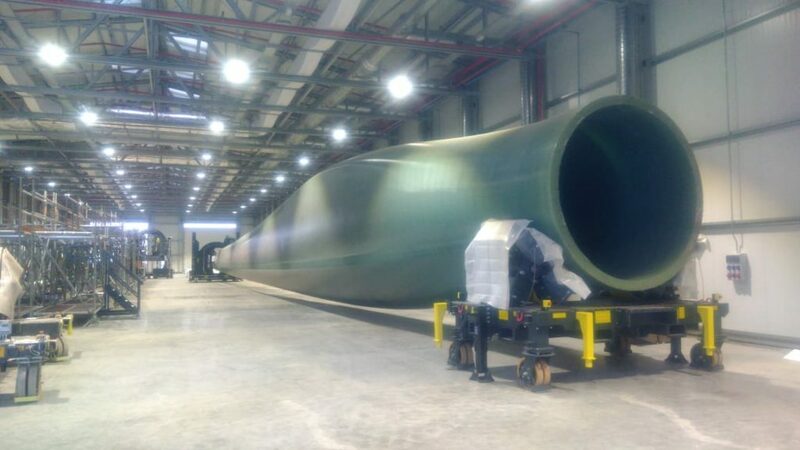 The 1.680 m² new building of Siemens Gamesa is shaped to be able to work on 2 wind mill blades of each 70 m long simultaneously. For easy access and exit of the wind blades, 4 large electrical overhead doors – class 4 for wind loads – were installed. 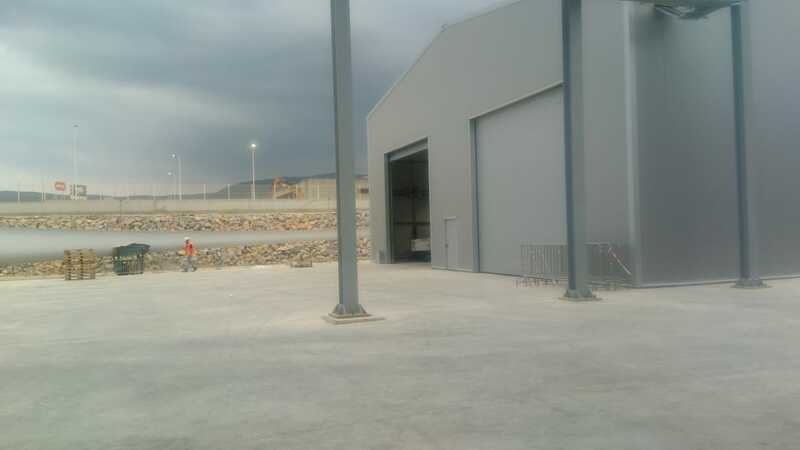 All realised within two months of assembly, Siemens Gamesa is both pleased with the fast run-through and quality of the building.